College Fashion: 11 ways to rock your look this new semester. Winters are here, folks and all colleges will soon be giving their winter vacations. And after it, the new semesters will be welcoming us with open hands during early January. Deciding what to wear every day to college is a big question in every girl’s life. We all want to look fresh and great and do our best with each outfit we wear. But, the issue is how to create a new look and dress up in a different way each day. We got some awesome tips and unique ideas for you to have a fresh look for the college every day. These college fashion tips are easy to follow and would help you dress up in a new way daily. Shirts are the most trending outfit of this season. All you need to do is start styling your shirts, even the older ones just with new tricks. Pair your shirt simply with your pants or jeans for a basic and casual look and you can also wear your shirts with a tank or cami top with your denim or trousers for a stylish look. These looks are simple, elegant and classy which are perfect for the college fashion to rock your look this new semester. You can try various styles with your shirts like front knotting, calves rolling and inside out from front and back. Not just the pants but also pair them with shift skirts for an attractive look. 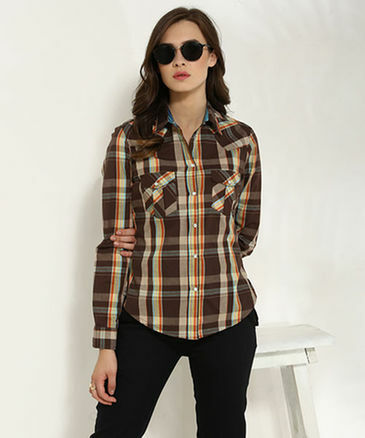 Buy a similar checked shirt here. Jeans are something we cannot go a day without, especially to college. The trick to playing a fresh look with your denim for the college fashion is going with the trend of boyfriend denim. Boyfriend denim is the comfiest denim, ever. Loose, but not so baggy, completely comfortable and super stylish, is what we love about them. Pair it with your casual tees for the basic look. You can also style them with monochrome tunics to break the monotony in the look. Buy a ripped boyfriend denim here. Mixing and matching your outfits with one another is one such way where you can repeat your outfits and still be the best dressed. You must know layering techniques so that it could be easier for you to dress up for college. Pair shrugs with tees, jackets with cami tops and denim jackets with some tops in playful and vibrant colors. These will help you in giving a new look every day. Style your pullovers and sweatshirts with sleeveless shirts or shrugs to have a stylish layered look. To create a fusionist look, you can also go for high neck sweaters and traditional vests. Another important feature which you must keep in mind while dressing up for the college is different hair-dos which are cute and quirky. Correct hairstyles with the correct outfits always help you stand out in the crowd. 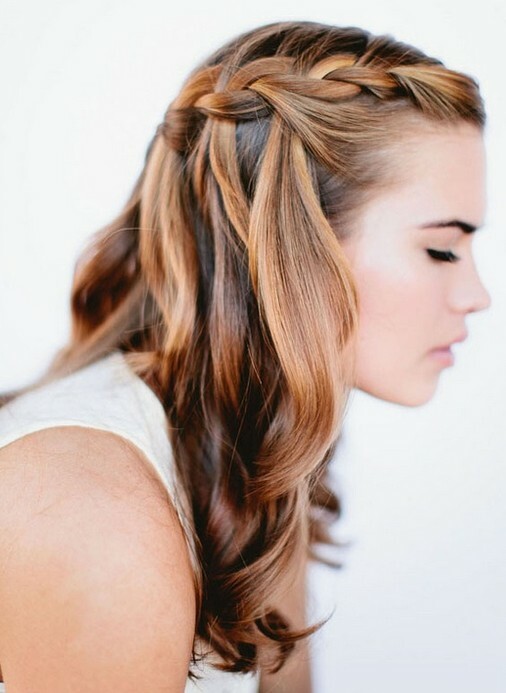 Whatever length your hair is, just try putting them in different hairstyle every day. Since you are a college girl, go for those appealing braids and chic buns because this is the best time for you to try all the trends. We all love sneakers for its comfortable and stylish look. You must have sneaker as the basic essential for your college look. They will be comfortable for your feet for that whole tiring day and also they will look super cute and classy and your outfit will be enhanced more. Sneakers are always very likable for the college fashion. 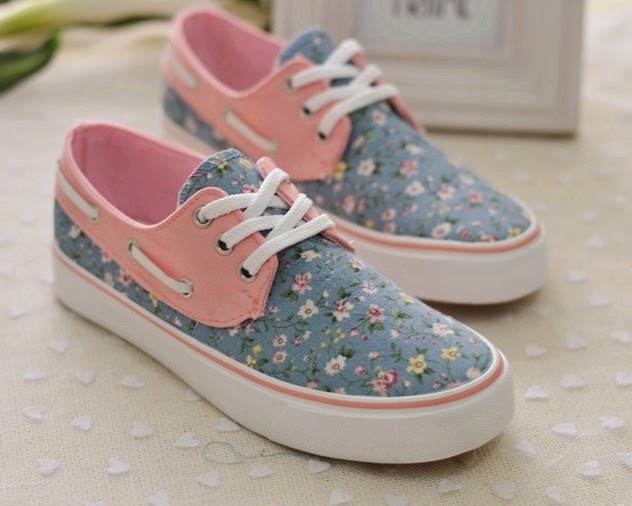 Have your cute sneakers here. By accessories, we mean bags, watches and hair accessories. You must be having a cute and a trendy college bag which suits your personality and also could carry all your essentials effectively. Also, you must never forget to wear your wristwatch, because these accessories are perfect for the college fashion. Also, it’s important to note that you must not go too bold with your hair accessories, just a hair tie or a band would be enough, rather you could focus on good hairstyles. Cute backpacks and tote bags are perfect as the accessories for the college fashion. 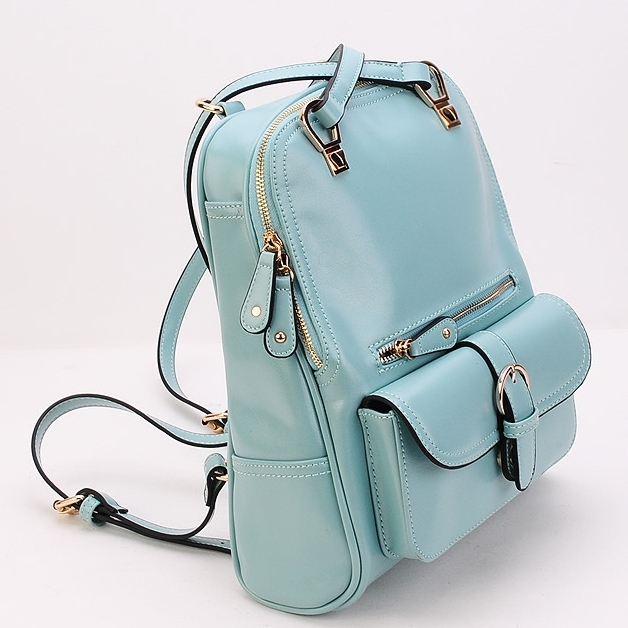 Have an amazing backpack at a pocket friendly price here. Kurti is our all time favorite and they are one of the most comfortable pieces of clothing in our wardrobe which we want to wear always. You can style your kurtis in a fusionist way by wearing a sleeveless shirt or shrug over them and make it more trendy. If you are going with kurti-leggings combination, wear some accessories as add-ons, like a belt near your waist, or a printed scarf around the neck. Go for some boho kind of footwear or brogues to make your look distinctive. Your another fresh look for the college is ready. 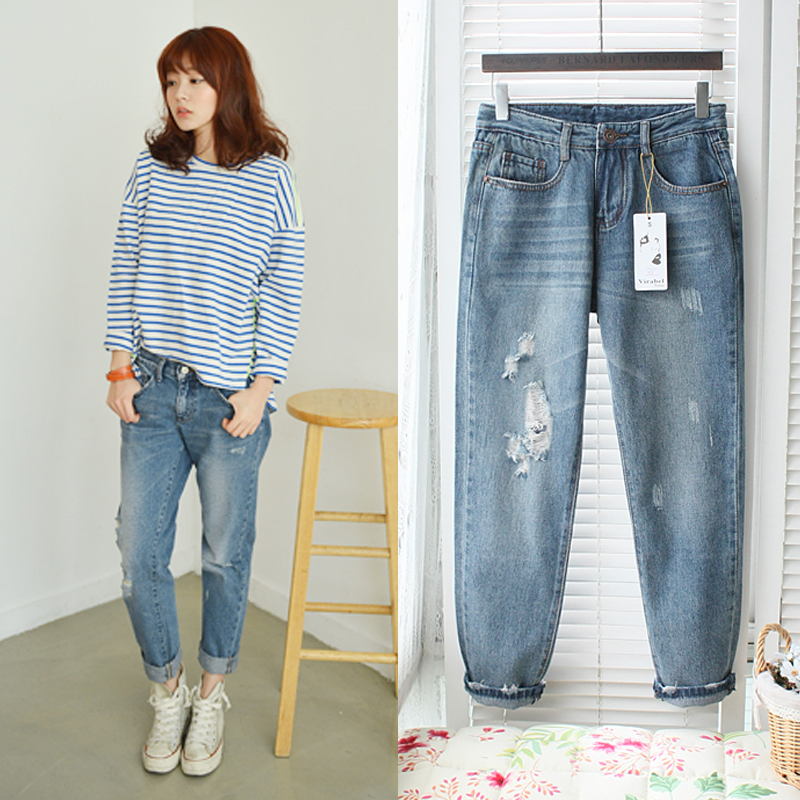 We love wearing denim pants on a regular basis because they are very comfortable. But we however never want to stereotype our look and settle just for them. Pull out those maxi skirts and palazzos from your wardrobe and wear them for college. The best way to style a maxi skirt in college is with a basic tee shirt or a simple top to make it appear casual for the college fashion. The next best idea is wearing them with kurti. They look very elegant and neat. Pair palazzos with formal shirts or with t-back top with a shirt as an overlay. Graphic printed tee shirts could also be worn with them to look basic. For a more stylish look during the winters, pair your leather and denim jackets with the maxi skirts. The slogan tees, graphic tees, digitally printed tees, all are very much in trend these days. They are one of the best outfits for college. 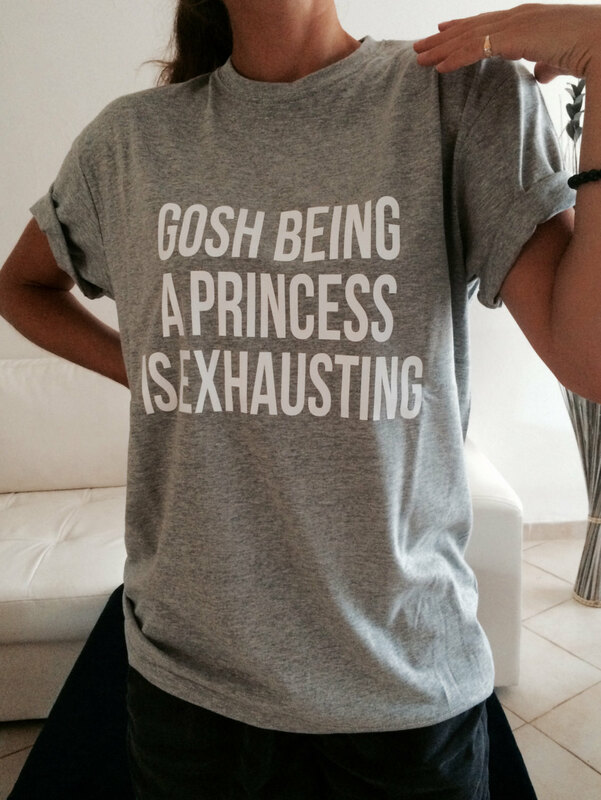 You can pair such tees with your denim, trousers, skirts, pants and everything. Going for full-length dungarees and such tee shirts will be a prepossessing outfit for the college fashion look. Wear your favorite quoted tee shirts and head over for a casual college day. Buy ‘Off To The Gym’ slogan tee shirt here. The best thing about a jacket is that it turns a simple outfit into a stylish outfit. Even if you pair your simple white top with a jacket, your outfit looks more vibrant and fresh. To break the monotony, start wearing jackets with your different tee shirts and tops, without bothering it will match your other outfits or not, because it definitely will. Just focus on colors and prints and then make proper co-ordinations and your another college fashion look is ready within minutes. Sweater dresses are one of the amazingly stylish outfits for winters. They keep you warm and attractive at the same time. You can style your sweater dress even to college for a trendy and fresh look. Pairing leggings or woolen stockings with the sweater dress is a good idea. Complete your look with ankle length boots or sports shoes to match your outfit and look absolutely stunning. Skater or A-line sweater dress would be a great outfit in the winters for college. As of now, we are absolutely crushing over this gorgeous black sweater dress. Try out all these tips for your college fashion and dressing up every day will never be difficult. 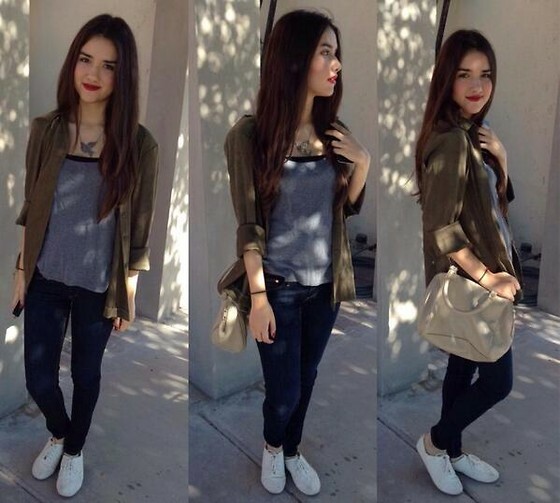 This entry was posted in Create the Look and tagged Back to college, college fashion, Winter Look, Winter Wardrobe.